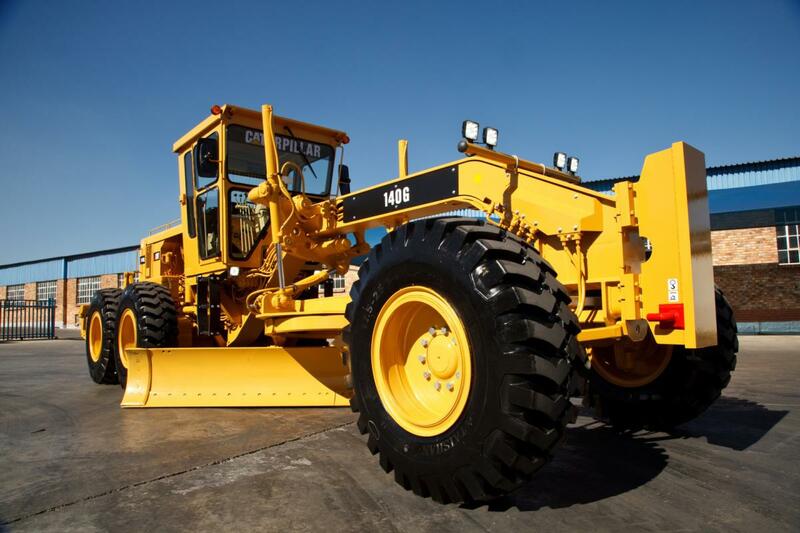 The Caterpillar 140G motor grader is one of the most popular motor graders ever produced. It’s estimated that over 25,000 of these machines have been sold since they were first manufactured. All models of the Caterpillar 140G motor grader feature a 3306 turbocharged, six-cylinder engine that produces up to 150 flywheel horsepower (fwhp). Other specifications may differ slightly based on where a 140G motor grader was built and in what year. Note that 140G graders manufactured in the United States have the serial number prefix 72V. Those manufactured in Canada have the prefix 81V. Australian models use the prefix 13W and Brazilian modesl use 5MD. For more information about the range of refurbished Caterpillar 140G motor graders available from KH Plant, contact us online or call one of our representatives on +27 83 274 4882.